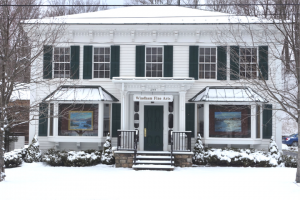 Windham Fine Arts is a contemporary gallery located in the heart of historic downtown Windham, New York, just 2 hours north of New York City. We opened our doors in 2001 after a 3 year restoration of the original 1855 structure. Steeped in local elegance and charm, with over 3000 square feet of curated space, the gallery is enjoyed by artists and patrons alike. Representing many diverse and distinguished artists, both local and internationally acclaimed, we present solo and group exhibitions, while hosting cultural and art events year round. More artwork is available in addition to the images on this website. Please contact the Gallery Director if you have a special request or need help making choices.